This map shows the schools in the co-operative and some very basic details of their arrays. Glenleigh Park Primary Academy is a primary school in Bexhill-on-Sea. Over the summer of 2014 SEC installed a 150kW of solar PV (spread out over 7 of their roofs). We think this still one of the largest community owned primary school installations in the UK. Glenleigh Park Primary Academy is one of the schools of the Aurora Academies Trust. Following our first successful installation at Glenleigh Park other schools in the Aurora Trust joined Schools’ Energy Co-operative and now have their own installations. “Glenleigh Park school is leading the country in its ambitious use of solar panels. As a champion of solar PV for many years, I am delighted to see such a nationally significant project in my own back yard! former MP Gregory Barker (now Lord Barker). 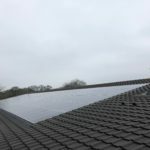 Courthouse is a 10:10 Solar Schools school so staff and pupils had already shown their commitment to a sustainable future by raising money to contribute towards their panels. 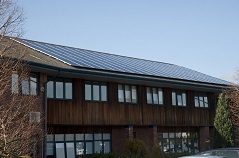 Joining the Schools’ Energy Co-operative allowed the school to increase the size of the array which was installed. The main buildings at Ashlyns School are listed but the school is building a new sports hall which will also serve the wider community. 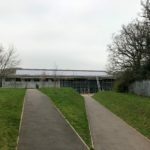 The Co-operative has been working with the School and local community group Transition Town Berkhampsted to secure the maximum solar array the new building can accommodate to increase its environmental sustainability. Students from the school will study the progress of the co-operative in business studies.